Under the Love Umbrella is a glorious ballad to the omnipresence of love. It is an analogy for the invisible but enveloping power of love. Even if you are not physically near your loved ones, they are forever under your Love Umbrella and vice versa. If you have not come across the picture book dream team of Davina Bell and Alison Colpoys, rectify this. STAT. It was one of our fave books of 2017. Their books explore big matters in gentle, devastatingly beautiful ways. Preschool drop-offs can be a fraught affair here. 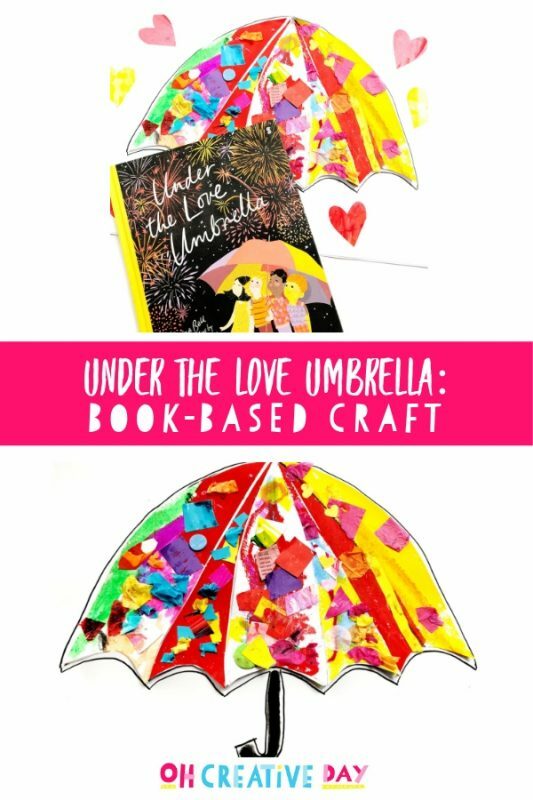 We use the Love Umbrella analogy here to try and cope with the initial separation anxiety. As we arrive at preschool, we open up our imaginary Love Umbrellas. As Miss 5 has been preparing for Big School and Mr 3 has been preparing for a new preschool, we have been reading this book a lot lately. This was a perfect opportunity to READ + CREATE. We created a family Love Umbrella. Open and close the Love Umbrella to reveal photos of loved one. 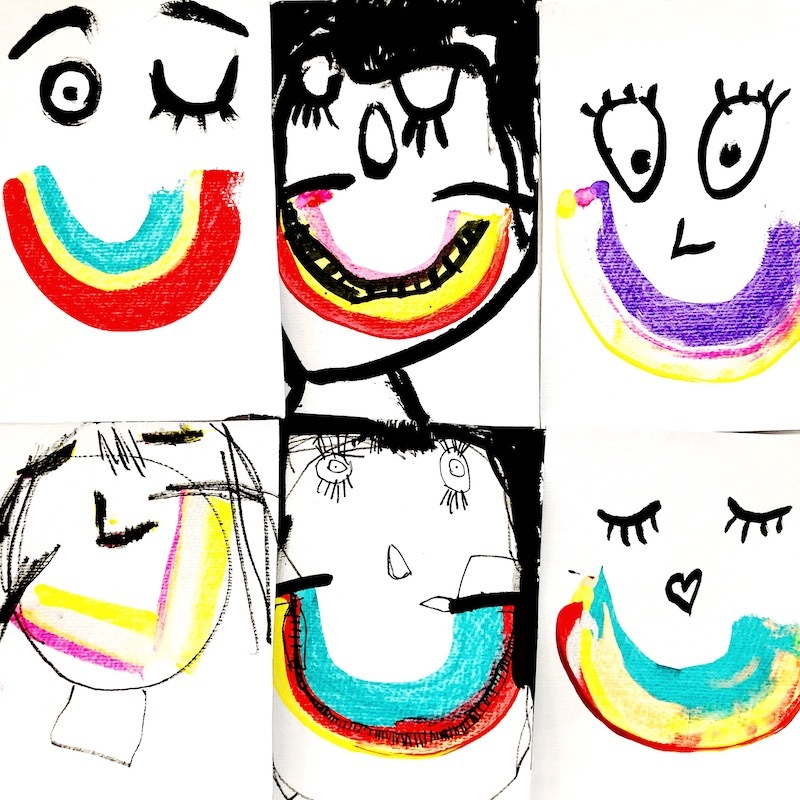 We used this project with a School Readiness angle- but it would also make a super sweet Valentine’s collaborative project. 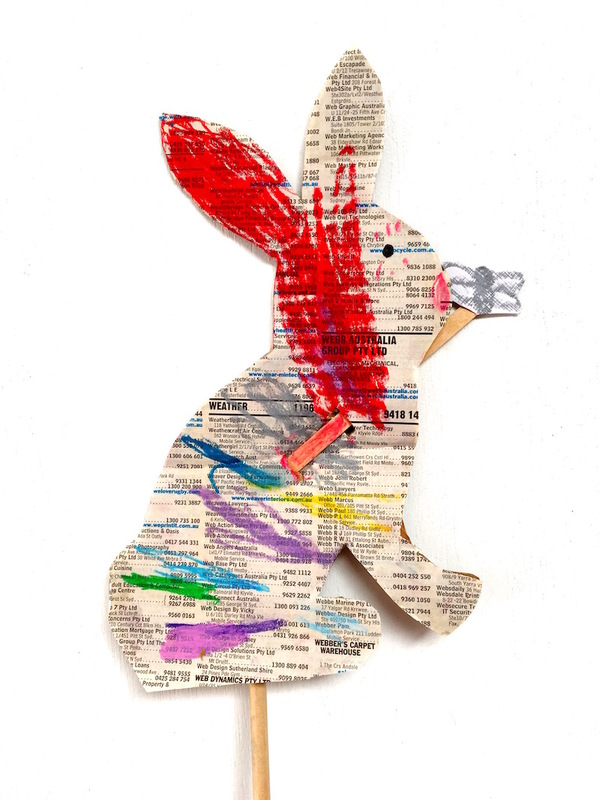 Materials for colouring and collage? Fold your large sheet of cardboard in half from top to bottom. Fold the A3 sheet of paper or card in half from side to side. Draw half an umbrella from the fold outwards. Cut this out for a symmetrical umbrella. Open out your umbrella. Trace this onto the “cover” of your large sheet of cardboard. We have 5 family members so I created 5 segments on the umbrella cut out of the A3 card. 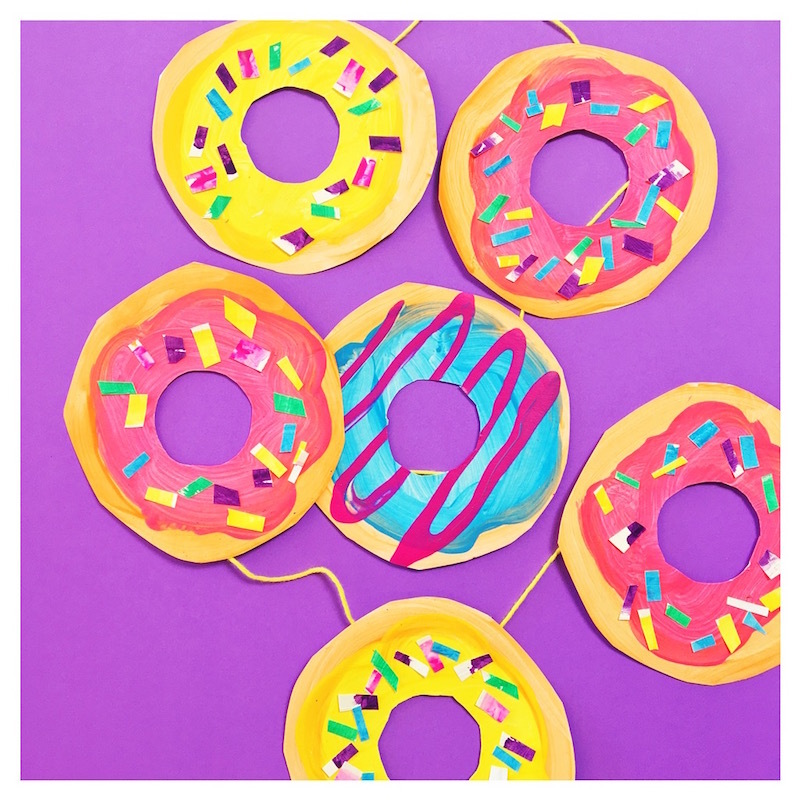 Cut these segments out and distribute them to family members to decorate. We used paint sticks and collage materials to decorate our segments. 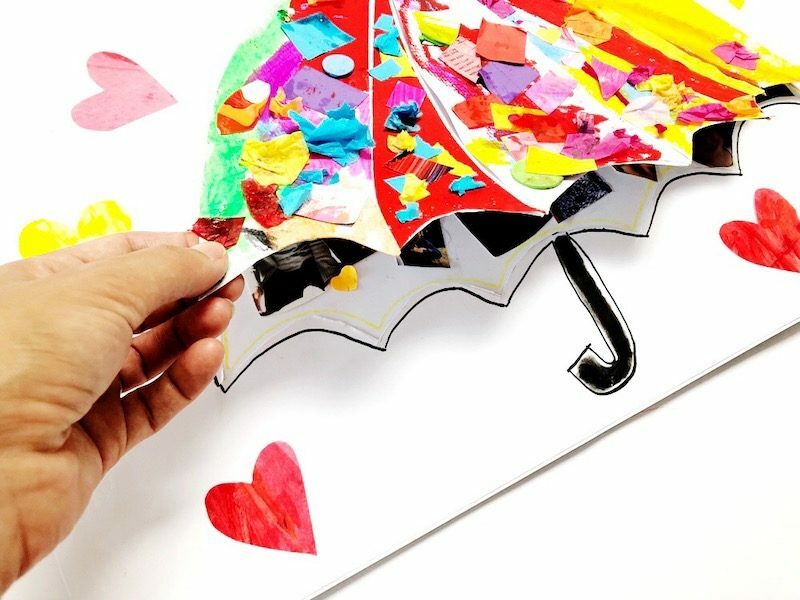 Once decorated and dried, glue the collage segments onto the umbrella traced onto the large piece of cardboard. Glue photos of loved ones on the piece of cardboard underneath the umbrella. 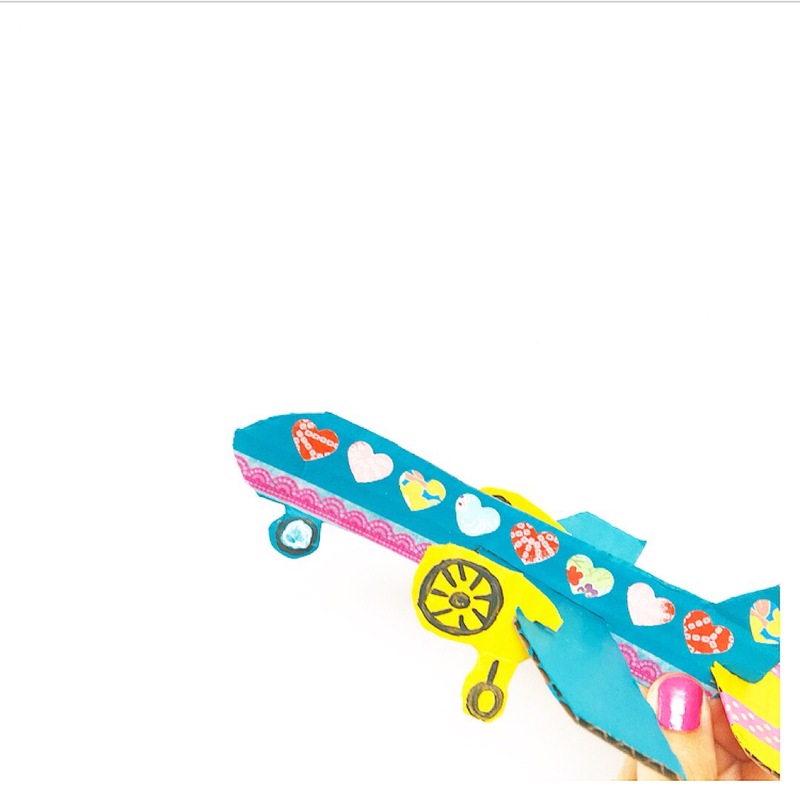 Dot glue along the edges of the bottom sheet of cardboard and firmly press the top sheet down. 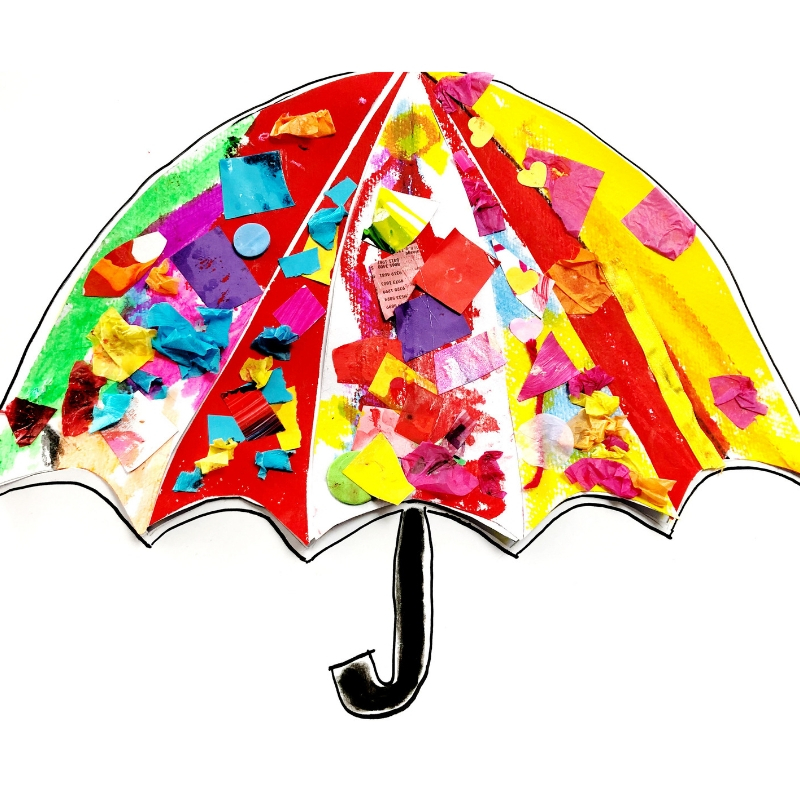 Who is under your Love Umbrella?